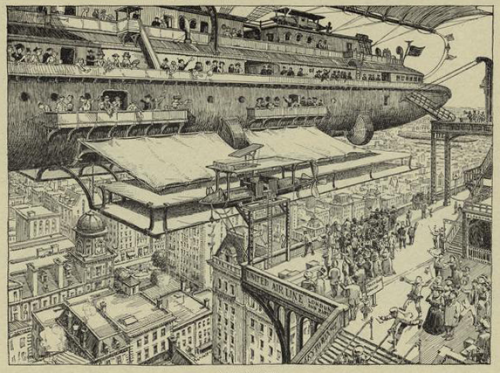 “United Airline” airship of the future, from Life, Jan. 1910. Image from the NYPL Archive, via Ptak. This entry was posted in Front Page and tagged airship, illustration, Posthorn, Repost, Tumblr, vintage on 30/05/2012 by John.